Zaxaa! Get Your business promoted by 1000s of affiliates! →Zaxaa! Get Your business promoted by 1000s of affiliates! One of my readers sent me a mail and said he was looking for how to sell a product online. As a matter of fact, this guy was new to this online world. He explained to me an awesome product idea he had. Very brilliant indeed! His major problem was to be able to sell his product on the Internet as it happens to have a global market. Clickbank was the first thing that came to my mind simply because I have used it for quite some time now and as a matter of fact, you know while Clickbank is not a joke, Zaxaa is more and more becoming the pros’ choice. When I spoke more with my reader, I understood he needed a membership or subscription site. As far as this is concern, there is no better place than Zaxaa. I have my reasons so keep reading. Zaxaa Review – Instantly sell a product online! “Zaxaa is a shopping cart platform that allows you to instantly sell your products online, instantly deliver them to your customers, and instantly recruit affiliates to help sell your products. Zaxaa can even automatically pay out instant commissions to your affiliates at the point-of-sale without waiting for the refund period to clear (if you want). Zaxaa Review: How to sell a product online on Zaxaa – Features are rich! I want us to look at some of the reasons Zaxaa marketplace should be your choice to sell your products. You may want to go straight to Zaxaa and sign up for free. Click here! 1 – Free membership plugin! If you want to create a paid membership site, then don’t look any further. Zaxaa membership plugin is a complete solution and it’s free. Everything you need to sell your product and collect monthly subscription fee is available in this free plugin. NB: I have written a more detailed article on this free subscription plugin. You should check the article out for more on how it functions. 2 – List your product for free! Zaxaa is absolutely the best place to start if you have a staggering budget. You can start selling absolutely for free with a 2.5% fee on every transaction while with Clickbank, you pay a $49.95 product activation fee and up to 7.5% plus $1 per transaction. Unlimited OTOs (one time offers). Take recurring or one-time payments. Take payments using PayPal Adaptive. NB: There are much more options available with the paid Premium Automation plans. 3 – Affiliate recruitment and Instant Commissions! One of the ways to sell big online is to recruit affiliates. They will help generate sales to earn commissions. The more affiliates, the more money you make. One thing that motivates affiliates big time is the instant commissions features. They want to be paid as early as possible. 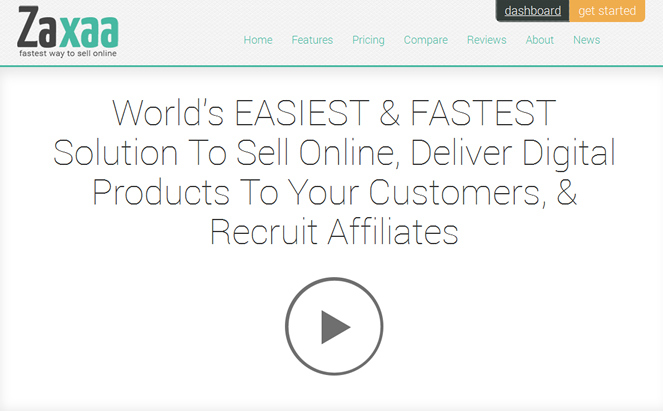 With the instant commission feature on Zaxaa, you are sure to quickly recruit affiliates to promote your products. Once this feature is approved per affiliate, they get their commissions paid to Paypal instantly a sale is made through their links. Whether you like it or not, creating a buyers’ list is a strong way to stay in business. With Zaxaa, you can automatically add buyers to your lists on Aweber, GetResponse, MailChimp and iContact. 5 – Coupon code facility! One of the ways to boost sales is to generate discount codes for your buyers. Smart vendors will generate event based discount codes and boost sales during events. Coupon discount in fix amount or percentage. Apply the discount to recurring payments or not. 6 – Void Affiliate Settings! Some affiliates are fun of buying things using their own affiliate links. If you don’t want this, this feature will enable you voide commissions if your affiliates use their links to buy. This is an exceptional feature if you are more than 1 on a certain product. This feature allows Zaxaa to automatically share profit within partners. As a matter of fact, you set the sharing percentages from within your account. Each time there is a sales, after deducting the fees and affiliate shares, the leftover is then shared between partners following your settings. So if you are more than one on a product, you don’t have to worry how profit sharing shall be handled. 8 – Create a dimesale and limit product quantity! When you run a dimesale, your product’s price goes up incrementally each time someone makes a purchase, until a set maximum is reached. It’s an indisputable way to boost sales. Dimesales settings on Zaxaa is quite simple. Here is a practical video! If you are affiliate marketer, stop wasting your time and promoting products that keep your commissions for 45+ days. Start promoting products on Zaxaa and be paid your commissions instantly. Let me know what you think about Zaxaa online selling solution in the comment box! Enstine sir, Once again you come up with a amazing tutorial of affiliate marketing. I have read an article about selling products online on Zaxaa Affiliate Network but that was too short. Here i got something in very detailed and special information too about this Zaxaa Affiliate Network. Enstine Muki recently posted…How to make money with CommentLuv Premium! Thanks Enstine for sharing this review. I was curious as to whether or not it was a fully functioning site like Clickbank, ShareSale, JVZoo, eJunkie, all those types of affiliate sites. I’ve checked into all of them for my upcoming product release with concerns about them all. Looks like this one might be the way to go. Guess my dragging my feet turned out for the best right! Interesting Article, Enstine. I don’t know much about affiliate marketing but I want to learn how to supplement my business income. This does sound like a very competitive option though compared to ClickBank and JVzoo. Thanks for teaching me something new today! Good to see you here today man and thanks for the comment. Affiliate marketing is a very strong way to supplement your income dude. Now with a blog that’s read, it becomes easier to make extra money. I use CashDonator here on my blog and it makes it easy to drop little affiliate review boxes on my posts that generate sales. Quite interesting isn’t it? Zaxaa sounds quite interesting Enstine. Unfortunately, I’ve never had the privilege of reading about this service anywhere else. I’m heading out straight to the site to see things for myself…who knows? I may just become the next biggest affiliate! What a nice review on zaxaa. The review made the site sound awesome. Zaxaa has some features that is mouth watering. I’ll definitely be head to the site to register an account with them. They really have some interested features to help you as affiliate make good commissions. The initial amount or the percentage on sales doesn’t bother me – what I want is access to an army of affiliates to promote products! Yeah the best thing to do is give it a try. From there, you’re going to be able to make an informed decision.